Linda Kozlowski - Bio, Age, Net Worth, Family, Where Is She Now? Home Actors & Actresses Linda Kozlowski – Bio, Age, Net Worth, Family, Where Is She Now? 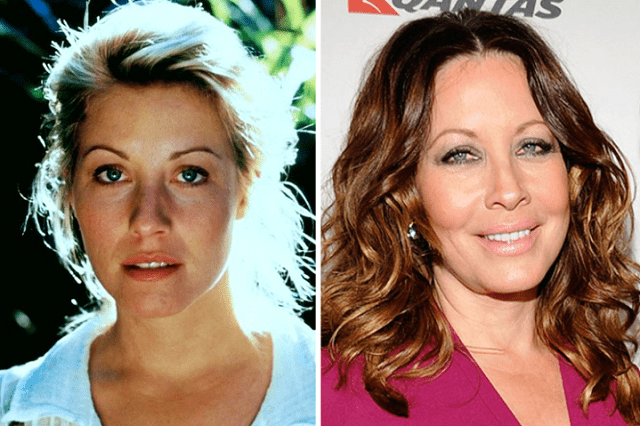 Linda Kozlowski – Bio, Age, Net Worth, Family, Where Is She Now? Linda Kozlowski is an American former actress popular for her role as Sue Charlton in the film trilogy, Crocodile Dundee. She has also been nominated once for the Golden Globe Awards. Judging by her career which spanned about two decades, it is believed by critics that an actress of her caliber in terms of acting skills, should have graced the big screen a lot more. Linda Kozlowski, daughter of Helen E. (Parniawska) and Stanley M. Kozlowski, was born on January 7, 1958, in Fairfield, Connecticut, where she was also raised. She attended Andrew Warde High School, Fairfield, and graduated in 1976. Subsequently, she enrolled in the Juilliard School’s drama division and graduated in 1981. The talented lady began her professional acting career in the Broadway theatre, debuting in How It All Began, a 1981–1982 off-Broadway production. She also took part in the play, Death of a Salesman, playing the role of Miss Forsythe. She also played the latter role in 1985 film version of the same play. Linda got her major breakthrough in 1986 when she landed a female lead role opposite Paul Hogan in the Australian-American action comedy film, Crocodile Dundee. She played the same role in 1988 and 2001 in Crocodile Dundee II and Crocodile Dundee in Los Angele. Linda Kozlowski also starred in the comedy film, Pass the Ammo and the miniseries Favorite Son in 1988. From then onward, she acted in a number of movies including Almost an Angel (1990), Backstreet Justice (1994), The Neighbor (1994), and Village of the Damned (1995). The former actress reportedly has an estimated net worth of $10 million. She owns a $2 million home on the Venice beachfront, Los Angeles, California, and co-owns Dream My Destiny tour company located in Morocco, with her current boyfriend, Moulay Hafid Baba. Linda Kozlowski was once married to her Crocodile Dundee co-star, Paul Hogan, an Australian actor, comedian, writer, and producer. In 1986, his role as Michael Dundee in Crocodile Dundee earned him a Golden Globe Award for Best Actor and an Academy Awards nomination for Best Original Screenplay. The duo met while filming the movie and somehow, their on-screen romance became real and on May 5, 1990, they got married. Before this time, the two were both once married. Hogan left his first wife Noelene Edwards shortly after he met Kozlowski and after their divorce was finalized for the second time in 1990, he tied the knot with the actress. Their union produced a son named Chance Hogan in 1998. In October 2013, Kozlowski filed for divorce citing “irreconcilable differences”, and their divorce was finalized in July 2014. It was agreed that Hogan would retain all the rights to his Crocodile Dundee character and the film company, while Kozlowski received a one-off payment of $6.25 million. None of them will pay child or spousal support and they will both share custody of their son, Chance. Linda Kozlowski was also allowed to live in their Los Angeles home for four years or until she remarries. Some years later, Linda revealed the actual reason for her divorce from Hogan saying the major issue in their marriage was the fact that they had no shared interest. This, according to her, led to them drifting apart. She also stated that she was tired of being in the actor’s shadow. Despite the death of their marriage, Linda Kozlowski and Hogan still share a very close bond and spend a lot of time together. She maintains that their divorce was amicable. Linda is currently in a relationship with Moulay Hafid Baba, a Moroccan tour guide with whom she co-founded and runs a business called Dream My Destiny in Morocco. They met in 2013 and were rumored to have gotten married in December 2017 after they were spotted wearing gold bands on their fingers. However, the former actress has neither confirmed or denied the speculations. See Also: Jolene Blalock Family, Age, Body Measurements, Where Is She Now? Linda is no longer in the acting business. This is as a result of her dissatisfaction with the “straight-to-video, schlocky films” she was getting. Her last movie was Crocodile Dundee in Los Angeles which she acted in 2001 alongside Hogan. It was reported in 2018 that Linda and her partner, Moulay Hafid Baba, would be leaving the US to set up a home together in his native country of Morocco. The former actress undergoes daily Cryogenic treatment in addition to her daily workouts and that is the secret of her age-defying beauty. Cryogenic treatment involves sitting for not more than three minutes in an enclosed chamber where cold, dry air drops the temperature to minus 126 degrees Celcius. The process is said to increase the level of collagen in the skin, thereby giving it a healthy glow. It also relieves physical pain, sleeping issues, and improve moods and mental clarity. Linda is a property tycoon. She bought three Venice Beachfront properties with her $6.25 million divorce settlement and later sold one home for $1.9 million in order to buy a $2 million home that she has rented out.